Mood disturbance appears to be present during the development of eating disorders. As we will see, depression symptoms may precede, follow and co-occur with the ED. What relationship may there be between eating -related psychopathology and depression? Messaggio pubblicitario Eating disorders (EDs) are currently placed in the Diagnostic and Statistical Manual of Mental Disorders fifth edition (American Psychiatric Association, 2013) within a diagnostic macro-area of mental disorders named “Feeding and Eating Disorders” characterized by a persistent disturbance of eating or eating-related behaviors. Such alterations in the consumption of food significantly impair the affected individual’s physical health and/or psychosocial functioning. Eating disorders include: anorexia nervosa (AN), bulimia nervosa (BN), binge-eating disorder (BED) and other-specified feeding or eating disorder (OSFED). EDs are distinct disorders which differ in prognosis, outcomes, and treatment needs. Patients suffering from EDs frequently exhibit comorbid psychiatric illnesses, mainly phobias, obsessive compulsive-related disorders and depression, exhibiting significant distress, limits in their functioning as well as medical complications (Nagl et al., 2016). However, major depressive disorder (MDD) appears to be the most common psychiatric diagnosis in threshold EDs with lifetime prevalence rates ranging from roughly 40% to 90% greatly surpassing general population rates (Godart et al., 2007). Generally, AN and BN patients also exhibit significantly higher depression and anxiety scores compared to healthy females (Holliday, Tchanturia, Landau, Collier, & Treasure, 2005; Daley, Jimerson, Heatherton, Metzger, Wolfe, 2008; Ashworth, Norbury, Harmer, Cowen, & Cooper, 2011; Buehren et al., 2011). Mood disturbance appears to be present during the development of an eating disorder. As we will see, depression symptoms may precede, follow and co-occur with the ED. What relationship may there be between eating -related psychopathology and depression? The general consensus considers both depression and anxiety as consequences of the eating disorder itself, specifically for AN through malnutrition (American Psychiatric Association, 2013) even though such theory has rarely been empirically investigated with appropriate methodology and measures (Mattar, Huas, Duclos, Apfel, & Godart 2010; Mattar, Huas, EVHAN group, & Godart, 2012). Such a position is maintained by researchers who derive from animal behavior models the hypothesis that psychiatric symptoms develop from restrictive eating (Ioakimidis, Zandian, Ulbl, Bergh, Leon, & Södersten, 2011; Bergh et al., 2013; Gutierrez, 2013). Indeed, data suggests that adolescents with AN develop a depressive state within the first year of AN onset (Gracevh, 2016). Psychological mechanisms may also be implicated as depressive symptoms increase in intensity in threshold AN, BN and BED, an increase attributed by some authors to feelings of shame and isolation promoted by the disordered eating (Harney, Fitzsimmons-Craft, Maldonado, & Bardone-Cone, 2013). 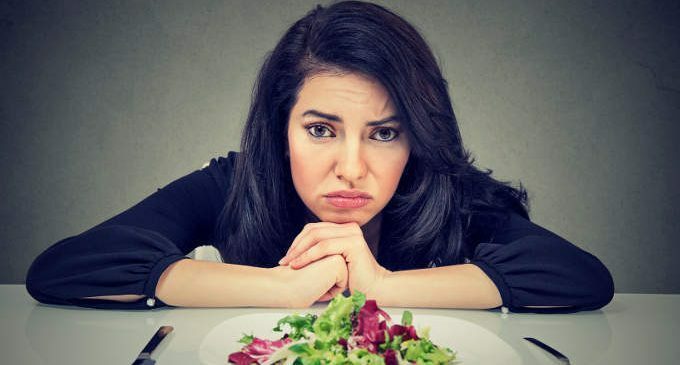 Against the notion that malnutrition leads to emotional problems, a recent study (Mattar et al., 2012) suggests contrarly that depression and anxiety are not related to nutritional states. Unexpectedly no correlation between negative affect and any measure of current nutritional status was found, even when taking into account potential confounding factors such as age and current use of psychotropic medication (Mattar et al., 2010, 2012). Many hypothesize instead the depression or anxiety precede or create vulnerability to the development of EDs (Deep, Nagy, Weltzin, Rao, & Kaye 1995; Stice, Presnell, & Spangler, 2002; Gardner et al., 2000; Measelle, Stice, & Hogansen, 2006). Indeed, in at least 25% of ED cases presented MDD precedes the eating disorder (Godart et al., 2007). Other studies have demonstrated how negative affect (Gardner Stark, Freidman, & Jackson, 2000; Stice et al., 2002; Measelle et al., 2006; Godart, Flament, Lecrubier, & Jeammet, 2000; Zerwas et al., 2013) and anxiety disorders (Godart et al., 2000; Zerwas et al., 2013) also precede and/or predict eating pathology and the development of eating disorders, possibly representing a pathway to EDs, particularly in AN. Moreover, according to risk factor research, symptoms of depression are frequently present before the development of EDs. Depression symptomatology has been found to interact with dieting and low self-esteem, both considered risk factors for EDs, in predicting both onset and intensity of the eating disorder in general and binging in particular (Stice, Marti, & Durant, 2011; Goldschmidt, Wall, Loth, Le Grange & Neumark-Sztainer, 2012). In a longitudinal study on community pre-adolescents (Hilbert, Hartmann, Czaja, & Schoebi, 2013), depressive symptoms ultimately predicted higher BMI and loss of control over eating, both of which are important predictors of binge eating disorder. Negative mood increased the odds of breaking extreme restraint behaviors, leading to binge episodes in BED patients (Stein, Kenardy, Wiseman, Dounchis, Arnow, & Wilfley, 2007). The above mentioned findings are consistent with theoretical cognitive models as well as physiological data present in the literature. The fear-conditioning model of AN sees core features of dietary restriction and excessive exercise as exerting an anxiolytic function against the fear of weight gain that is out of patient’s cognitive control (Zerwas et al., 2013). In BN, the vicious cycle of low mood and binging and purging may also arise through cognitive conditioning (Stice, Marti, Shaw, & Jaconis, 2009), generated and upheld by the expectation of symptomatic relief from such behaviors (Bohon, Stice, & Burton, 2009). Physiologically, starvation may initially provide relief from pre-existing anxiety and depressive symptoms or emotional dysregulation due to complex biological and psychological mechanisms such as depletion in tryptophan resulting from a strict diet (Kaye et al., 2003), or changes in mesocorticolimbic pathways (Brockmeyer, Holtforth, Bents, Kämmerer, Herzog, & Friederich, 2012). In patients with AN a lower BMI correlated with decreased emotion regulation difficulties (Brockmeyer et al., 2012). However, such effects are short-lived as the strategy employed by AN patients with time exacerbates anxiety and depression symptomatology and the vicious cycle described by Garner (1993) ensues. It is important to note that depression in EDs may not have a single aetiology such as malnutrition, but be the consequence of various factors, such as a premorbid condition, exhaustion, positive reinforcement, and chronic illness (Godart et al., 2002, 2007). Some research instead supports the notion that EDs and mood disturbance develop simultaneously: in subthreshold cases, mood symptoms are frequently correlated with disordered eating behaviors (Santos, Richards, & Bleckley, 2007; Courtney, Gamboz, & Johnson, 2008; Dennard & Richards, 2013). Evidence for a developmental trend of co-emergence of anxiety, depression and eating disorder symptomatology in adolescence has been reported in recent research (Holm-Denoma, Hankin & Young, 2014). Others suggest a common etiological pathway as eating disorders, depression and anxiety share common features such as cognitive styles, such as high perfectionist expectations of the self and low self-efficacy (Abramson, Bardone-Cone, Vohs, Joiner, & Heatherton, 2006), and personality traits, perfectionism once again, and a tendency towards harm avoidance (Kaye, Bulik, Thornton, Barbarich, & Masters, 2004). Despite the seemingly contradictory findings discussed above, various trajectories may characterize different types of ED patients, perhaps representing different clinical profiles or even phenotypes. As Godart and colleagues (2007) have suggested, at least two clinical profiles may exist: ED patients in which MDD precedes the eating disorders and those in which MDD follows the onset of ED by way of malnutrition. What Happens to Mood after Treatment in EDs? Generally, after treatment, depression and self-esteem may improve in partially or fully remitted patients. However, improvements in such areas may not reach levels reported by healthy controls (Steiger et al., 2005; Daley et al., 2008; Byrne, Fursland, Allen, & Watson, 2011; Buehren et al., 2011). Emotion regulation difficulties are often still present in ED patients who are considered remitted from the disorder (Brockmeyer et al., 2012; Haynos, Roberto, Martinez, Attia, & Fruzzetti, 2014). Chronic AN patients, most of which have undergone multiple treatments, commonly report feeling hopeless and stuck in the disorder, as well as a persistence of severe depressive symptoms, constituting important obstacles to patients’ recovery processes (Nordbø, Espeset, Gulliksen, Skårderud, Geller, & Holte, 2012). Demoralization, a psychological state characterized by feelings of helplessness, a sense of failure, and giving up, has been found to affect up to 50% of chronic AN patients (Abbate-Daga et al., 2013). Demoralization syndrome, common in the medical context, does not necessarily overlap with major depression and been found to be a marker of worsening psychological status and health-related outcomes across medical conditions (Tecuta, Tomba, Grandi & Fava, 2015). Moreover, depression may also contribute to the maintenance and chronicity of BN and BED binge episodes. The association between depression and binging is thought to be related to the attempts to improve mood through eating, leading to loss of control over eating itself and, ultimately, to binging (Stein et al., 2007). Messaggio pubblicitario In a systematic review of the literature on mood disorder comorbidity with eating disorders, Godart et al. (2007) underscored several methodological limitations present in ED research that must be kept in mind when interpreting data on comorbidity, such as the data mentioned above. Results may be confounded by the following common methodological flaws: a wide age range in research samples; combining outpatients and inpatients; lack of control groups; combining ED diagnostic subcategories that may differ in depression comorbidity rates; small sample sizes; lack of diagnostic instruments; different definitions of “current” prevalence; loss of data at follow-up in longitudinal studies. Authors suggest that future studies on this important clinical issue minimize the above mentioned confounding variables, and be designed specifically to examine comorbidity of mood and eating disorders, as most studies report comorbidity data as a secondary finding rather than as a primary research hypothesis. Given the complex relationship between mood and EDs and the possible role of depression in eating disorder maintenance and chronicity, it may be particularly important to thoroughly assess not only the presence of depression, but also its chronological relationship with the ED, and fluctuations in relation to ED symptomatology across various phases of treatment for optimal treatment response. It is noteworthy that antidepressant use, although widespread in EDs and FDA-approved in BN, has not shown much promise in alleviating depression in both AN and BN with comorbid MDD, nor does it predict MDD recovery or relapse in eating disorders (Mischoloun et al., 2011). Abbate-Daga, G., Delsedime, N., Nicotra, B., Giovannone, C., Marola, E., Amianto, F., & Fassino, S. (2013). Psychosomatic syndromes and anorexia nervosa. BMC Psychiatry, 13, 14. doi: 10.1186/1471-244X-13-14. Abramson, L., Bardone-Cone, A., Vohs, K., Joiner, T., & Heatherton, T. (2006). Cognitive vulnerability to bulimia. In L. Alloy, & J. Riskind (Eds. ), Cognitive vulnerability to emotional disorders (pp. 329–364).Mahwah, NJ: Lawrence Erlbaum Associates Publishers. American Psychiatric Association. (2013). Diagnostic and Statistical Manual of Mental Disorders (5th ed.) Washington: American Psychiatric Association. Ashworth, F., Pringle, A., Norbury, R., Harmer, C.J., Cowen, P.J., & Cooper, M.J. (2011). Neural response to angry and disgusted facial expressions in bulimia nervosa. Psychological Medicine, 41(11), 2375-84. Bergh, C., Callmar, M., Danemar, S., Hölcke, M., Isberg, S., Leon, M., Lindgren, J., …Södersten, P. (2013). 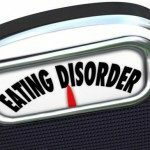 Effective Treatment of Eating Disorders: Results at Multiple Sites. Behavioral Neuroscience, 127(6), 878-889. Bohon, C., Stice, E., & Burton, E. (2009). Maintenance factors for persistence of bulimic pathology: A prospective natural history study. International Journal of Eating Disorders, 42, 173-178. Brockmeyer, T., Holtforth, M.G., Bents, H., Kämmerer, A., Herzog, W., & Friederich, H-C. (2012). Starvation and emotion regulation in anorexia nervosa. Comprehensive Psychiatry, 53, 496- 501. Buehren, K., Konrad, K., Schaefer, K., Kratzsch, J., Kahraman-Lanzerath, B., Lente, C., & Herpertz-Dahlmann B. (2011). Association between neuroendocrinological parameters and learning and memory functions in adolescent anorexia nervosa before and after weight recovery. J Neural Transm ,118(6), 963-8. Byrne, S.M., Fursland, A., Allen, K.L., & Watson, H. (2011). The effectiveness of enhanced cognitive behavioural therapy for eating disorders: an open trial. Behavior Research and Therapy, 49, 219-26. Courtney, E.A., Gamboz, J., & Johnson, J.G. (2008). Problematic eating behaviors in adolescents with low self-esteem and elevated depressive symptoms. Eating Behaviors, 9, 408-414. Daley, K.A., Jimerson, D.C., Heatherton, T.F., Metzger, E.D., & Wolfe, B.E. (2008). State self- esteem ratings in women with bulimia nervosa and bulimia nervosa in remission. International Journal of Eating Disorders, 41(2),159-63. Deep, A. L., Nagy, L. M., Weltzin, T. E., Rao, R., & Kaye, W. H. (1995). Premorbid onset of psychopathology in long-term recovered anorexia nervosa. International Journal of Eating Disorders, 17, 291–297. Dennard, E.E., & Richards, C.S. (2013). Depression and coping in subthreshold eating disorders. Eating Behaviors, 14, 325-329. Gardner, R., Stark, K., Freidman, B., & Jackson, N. (2000). Predictors of eating disorder scores in children ages 6 through 14: A longitudinal study. Journal of Psychosomatic Research, 49, 199–205. Garner, D.M. (1993). Pathogenesis of anorexia nervosa. Lancet, 341, 1631–1635. Godart, N., Flament, M., Lecrubier, Y., & Jeammet, P. (2000). Anxiety disorders in anorexia nervosa and bulimia nervosa: Co-morbidity and chronology of appearance. European Psychiatry, 15, 38–45. Godart, N.T., Flament, M.F., Perdereau, F., & Jeammet, P. (2002). Comorbidity between eating disorders and anxiety disorders: a review. International Journal of Eating Disorders, 32, 253–270. 37. Godart, N.T., Perdereau, F., Rein, Z., Berthoz, S., Wallier, J., et al. (2007). Comorbidity studies of eating disorders and mood disorders. Critical review of the literature. Journal of Affective Disorders, 97, 37–49. Goldschmidt, A.B., Wall, M., Loth, K.A., Le Grange, D., Neumark-Sztainer, D. (2012). Which dieters are at risk for the onset of binge eating? A prospective study of adolescents and young adults. Journal of Adolescent Health, 51, 86-92. Gracevh, V.V. (2016). Depressive states at the stage of manifest clinical signs of anorexia nervosa in adolescents. Neuroscience and Behavioral Physiology, 46, 348-353. Gutiérrez, E. (2013). A rat in the labyrinth of anorexia nervosa: Contributions of the activity-based anorexia rodent model to the understanding of anorexia nervosa. International Journal of Eating Disorders, 46, 289–301. Harney, M.B., Fitzsimmons-Craft, E.E., Maldonado, C.R., & Bardone-Cone, A.M. (2013). Negative affective experiences in relation to stages of eating disorder recovery. Eating Behaviors, 15, 24-30. Haynos, A.F., Roberto, C.A., Martinez, M.A., Attia, E., & Fruzzetti, A.E. (2014). Emotion regulation difficulties in anorexia nervosa before and after inpatient weight restoration. International Journal of Eating Disorders, 47, 888-891. Hilbert, A., Hartmann, A.S., Czaja, J., & Schoebi, D. (2013). Natural course of preadolescent loss of control eating. Journal of Abnormal Psychology, 122(3), 684-693. Holliday, J., Tchanturia, K., Landau, S., Collier, D., & Treasure, J. (2005). Is impaired set-shifting an endophenotype of anorexia nervosa? American Journal of Psychiatry, 162(12), 2269-75. Holm-Denoma, J.M., Hankin, B.L., & Young, J.F. (2014). Developmental trends of eating disorder symptoms and comorbid internalizing symptoms in children and adolescents. Eating Behaviors, 15, 275-279. Ioakimidis, I., Zandian, M., Ulbl, F., Bergh, C., Leon, M., & Södersten, P. (2011). How eating affects mood. Physiology & Behavior, 103, 290– 294. Kaye, W.H., Barbarich, N.C., Putnam, K., Gendall, K.A., Fernstrom, J., et al. (2003). Anxiolytic effects of acute tryptophan depletion in anorexia nervosa. International Journal of Eating Disorders, 33, 257–267. Kaye, W.H., Bulik, C.M., Thornton, L., Barbarich, N., & Masters, K. (2004). Comorbidity of anxiety disorders with anorexia and bulimia nervosa. American Journal of Psychiatry, 161(12), 2215-21. Mattar, L., Huas, C., Duclos, J., Apfel, A., & Godart, N. (2010). Relationship between malnutrition and depression or anxiety in Anorexia Nervosa: A critical review of the literature. Journal of Affective Disorders, 132(3), 311-8. Measelle, J., Stice, E., & Hogansen, J. (2006). Developmental trajectories of co-occurring depressive, eating, antisocial, and substance abuse problems in female adolescents. Journal of Abnormal Psychology, 115, 524–538. Mischoulon, D., Eddy, K.T., Keshaviah, A., Dinescu, D., Ross, S.L., Kass, A.E., Franko, D.L., Herzog, D.B. (2011). Depression and Eating Disorders: Treatment and Course. Journal of Affective Disorders, 130(3), 470-477. Nagl, M., Jacobi, C., Paul, M., Beesdo-Baum, K., Hofler, M., Lieb, R., & Wittchen, H.U. (2016). Prevalence, incidence and natural course of anorexia and bulimia nervosa among adolescents and young adults. European Child & Adolescent Psychiatry, 1-16. Nordbø, R.H.S., Espeset, E.M.S., Gulliksen, K.S., Skårderud, F., Geller, J., & Holte, A. (2012). Reluctance to recover in anorexia nervosa. European Eating Disorders Review, 20, 60-6. Santos, M., Richards, C.S., & Bleckley, M.K. (2007). Comorbidity between depression and disordered eating in adolescent. Eating Behaviors, 8, 440-449. Stein, R.I., Kenardy, J., Wiseman, C.V., Dounchis, J.Z., Arnow, B.A., & Wilfley, D.E. (2007). what’s driving the binge in binge eating disorder? : A prospective examination of precursors and consequences. International Journal of Eating Disorders, 40, 195-203. Stice, E., Marti, C.N., & Durant, S. (2011). Risk factors for onset of eating disorders: Evidence of multiple risk pathways from an 8-year prospective study. Behavior Research and Therapy 49: 622-627. Stice, E., Marti, C.N., Shaw, H., & Jaconis, M. (2009). An 8-year longitudinal study of the natural history of threshold, subthreshold, and partial eating disorders from a community sample of adolescents. Journal of Abnormal Psychology, 118(3), 587-597. Stice, E., Presnell, K., & Spangler, D. (2002). Risk factors for binge eating onset in adolescent girls: A 2-year prospective investigation. Health Psychology, 21, 131–138. Steiger, H., Richardson, J., Isarel, M., Ng Ying Kin, N.M.K., Bruce, K., Mansour, S., Parent, A.M. (2005). Reduced Density of Platelet-Binding Sites for [3H] Paroxetine in Remitted Bulimic Women. Neuropsychopharmacology, 30, 1028-1032. Tecuta, L., Tomba, E., Grandi, S., & Fava, G. A. (2015). Demoralization and its clinical characterization. Psychological Medicine, 45(4), 673-91. Zerwas, S., Lund, B.C., Von Holle, A., Thornton, L.M., Berrettini, W.H., Brandt, H.,… Bulik, C.M. (2013). Factors associated with recovery from anorexia nervosa. Journal of Psychiatric Research, 47(7), 972-9.